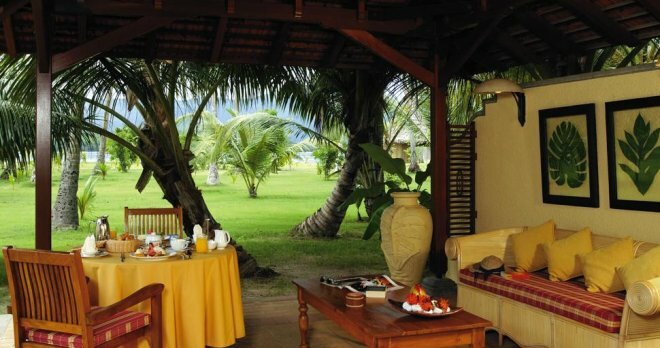 Republic of Seychelles - an island country on the east coast of Africa. In the ocean, 960 kilometers north-east of the island of Madagascar there is an archipelago, consisting of 115 islands of which only 33 are inhabited. The capital of the republic - Victoria - is located on Mahe, the most developed and largest island of all. 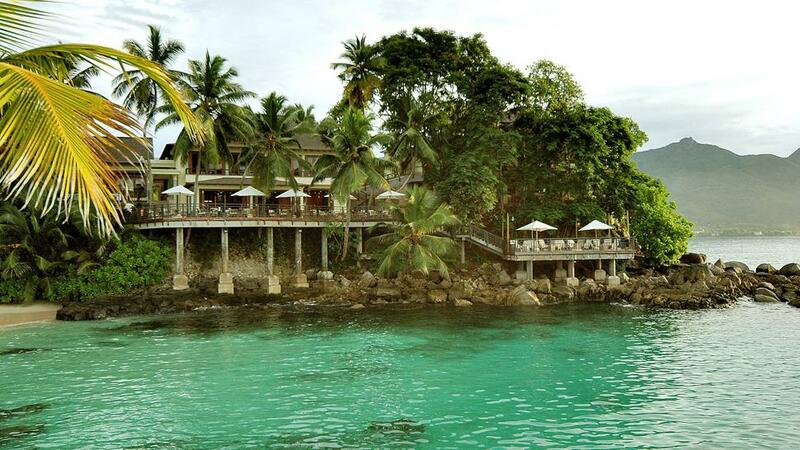 The Seychelles was discovered and put on the map in 1502 thanks to Admiral Vasco da Gama. Since that time the islandswere ruled by the French, after- the British, and now the Seychelles is an independent presidential republic. 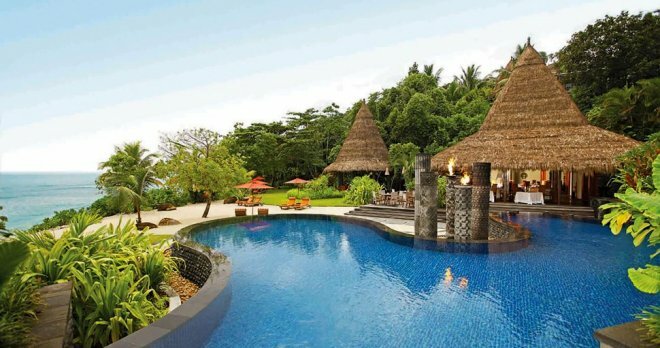 A trip to the Seychelles means a holiday in thebiblical paradise. 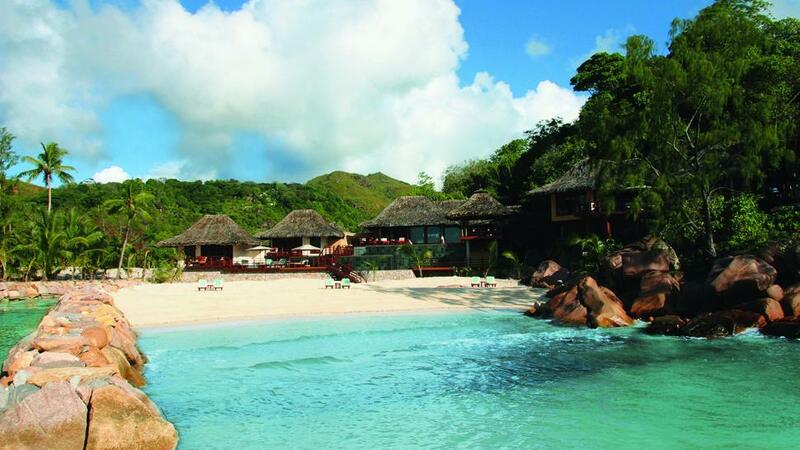 Everlasting summer, lush wild greenery, native island food, vanilla and cinnamon plantations. The local population isinnocent butbright: they walk in shorts but at the same time they are fluent in French, English and Creole. Arriving at the Seychelles - by the way tours are not expensive - you will find yourself among pink and white sands and coconut trees. 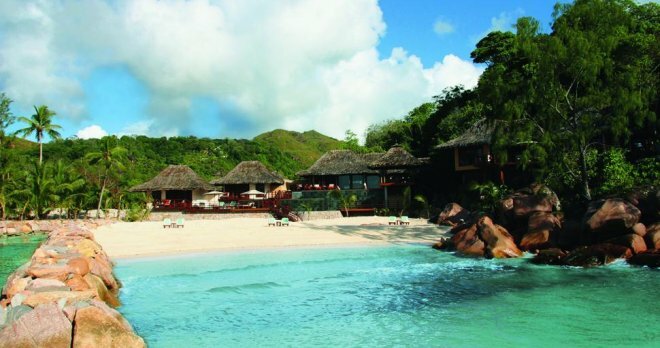 In addition to the beach holiday,there are things to see and places to walkin the Seychelles: the Mission Lodge, the Royal Spice Gardens, the most beautiful beach ofInterdancewhich was bought from the former Beetles star Ringo Starr. 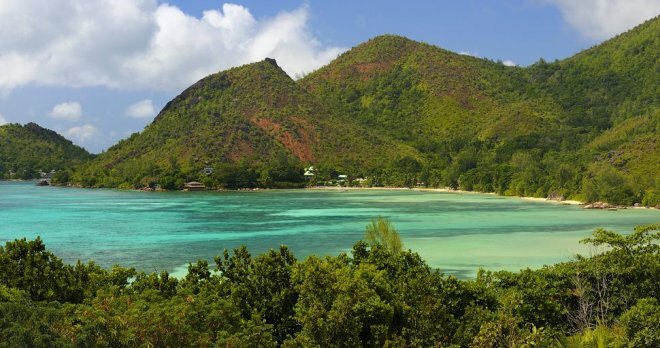 Tours to the Seychelles are in high demand; hereis very convenient for people with «white» mentality: the locals do not look like Arabs or Asians, but rather asdark Europeans. Victoria - the capital of the republic, a city on the island of Mahe. Visit the fruit and vegetable markets in the city, take a walk on the hills, offering a magnificent view. Visit the craftsvillage - not far from the beautiful buildings of the Creole Institute, Royal Botanic Gardens, Tea Tavern. Evenif you wish you can swim to the magnificent National Marine Park of St. Anne, it is located between the islands of Mahe andMoyenne. Praslin is the second largest after the island of Mahe. It is called the Garden of Eden -it is mostly visited for the black parrot, which is found only here and in the National Park Vallee de Mai,protected by UNESCO. 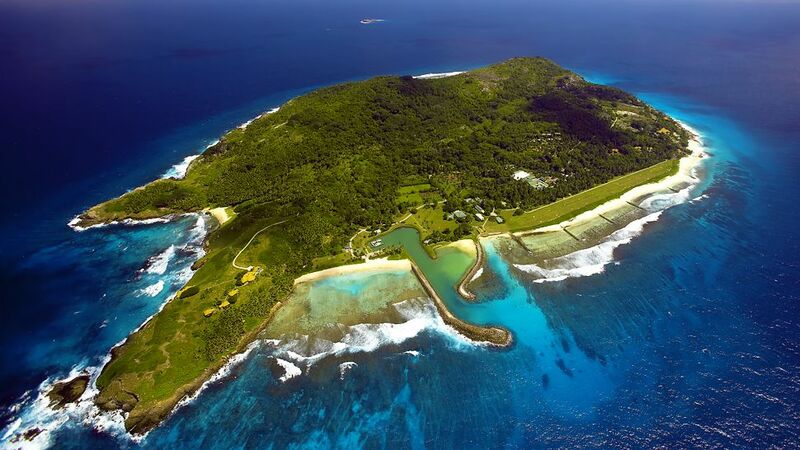 TheCousineisland is protected by the International Committee for Protecting the Birds. 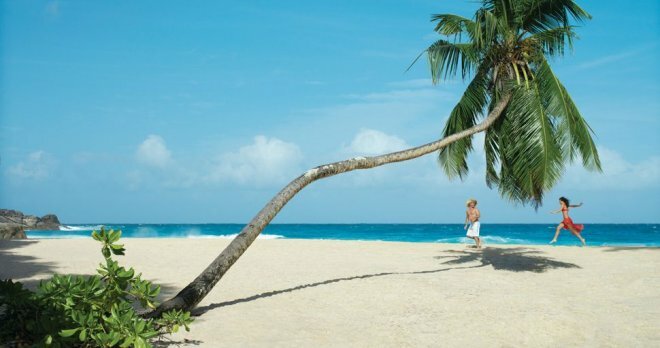 This is a unique place where endangered species of birds grow their chicksright on the pathway and on the beach of the island rare sea turtles lay their eggs. The northernmost of the islands of the archipelago - Denis Island, is called «the empire of coconut palms,» it is popular for its palm trees and fishing. The fish hereis simply uncountable: annually the island breaks records for catching tuna. At the same time, life on the island is civilized, everything here is quite modern and the fishing services - at a high level. On the island of La Digueas if time has stopped. Life here is just like 200 years ago - clean seabed, crystal clear water, wild green nature. The only transportation here are ox-carts. Aldabra Island is a huge coral atoll with an area of 200 square kilometers. Aldabra is protected by UNESCO. This is the only place on earth where a colony of giant tortoises of 500 species can pass by you, they are more than 152 thousand on the island. 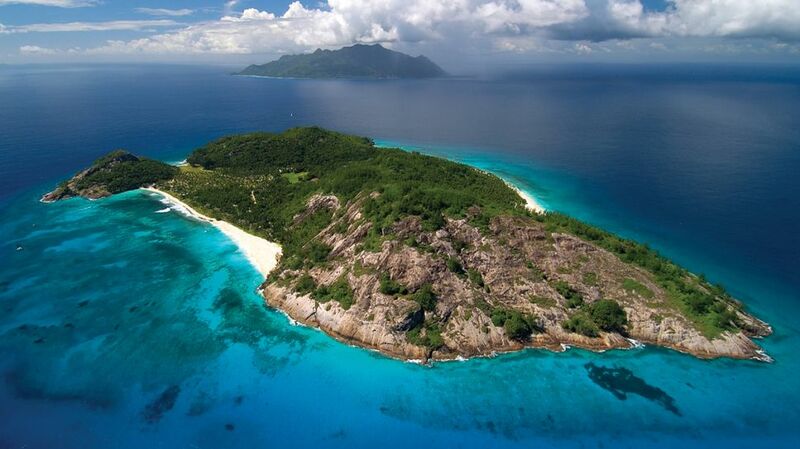 For common people to get here is very difficult as this is a researchstation, managed by the Fund of the Seychelles. There is no time difference between Seychelles and Moscow. Previously, when Russia still used to turn the clock from summer to winter time, the islands time zone was 1 hour ahead of our northern time. 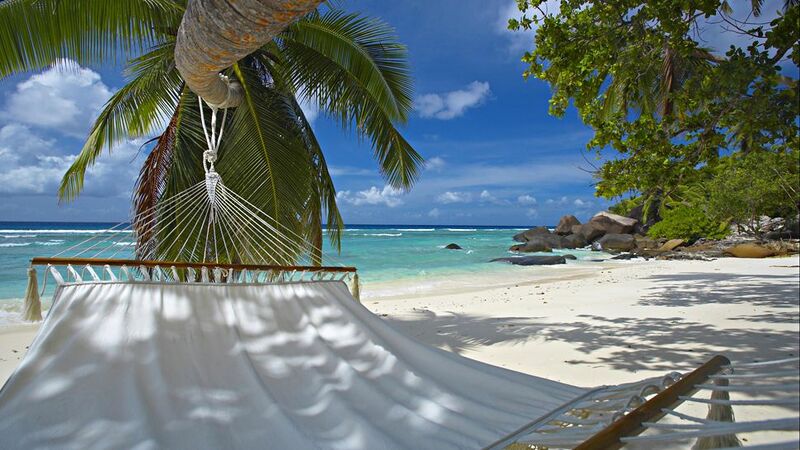 The Seychelles have soft and warm sea subequatorial climate. Here are two seasons: wet and dry. The wet season is from December to April, during this time it's very hot - up to +33-35 ° C and often there are short heavy rains. In the dry season, from May to November, there is no rain and the temperature is lower- +24-26 ° C. It's good to go to Seychelles at any time - the beach season lasts all year round. The tours prices go up around Christmas holidays and down in the rainy season. People buy tours to the Seychelles just for the sake of the exceptional food. The dishes seafood, coconut and curry based. Jambalaya pilafis a local specialty and many tourists walk an extra couple of miles just t try it. There are a lot of restaurants in the Seychelles as they bring the majority ofincome for the tourism sector - you can just walk in and taste food at random locations. 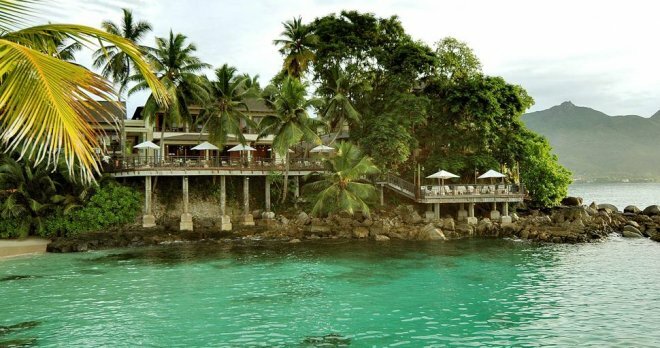 Here are a few restaurants on the island of Mahe. Please note that the local restaurants are not open during the «siesta» time, from 12.00 to 17.00. This stimulates the tourists to work up their appetite for dinner. One of the most famous and oldest restaurants on the Island, the cuisine is Italian-local, hosted by great chefs, husband and wife- Gianni and SilvanaTurci. Amazing fish and authentic Italian desserts. Open: for dinner only, from 19.00pm. 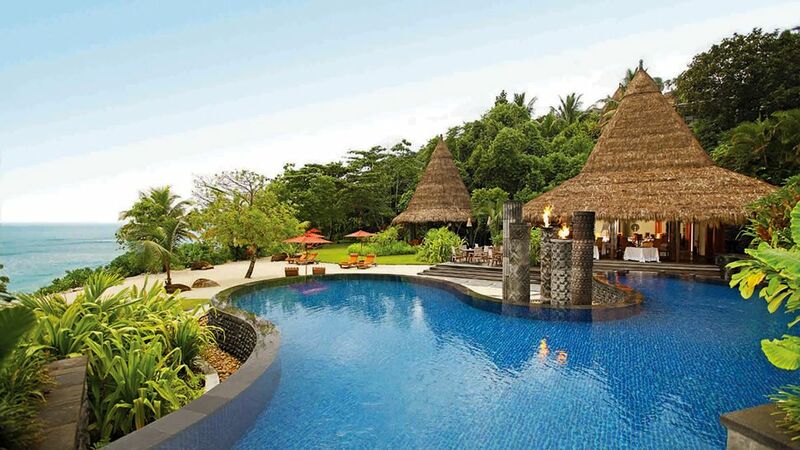 Address: BelOmbre, 10 minutes drive from Beau Vallon. Great family restaurant at Beau Vallon, «buffet- snacks» category - a great place to celebrate birthdays or have dinner with the kids. Unlimited buffet - for gourmets to enjoy to the fullest. Delicious Creole food, cheerful waiters, wicker furniture and fresh air. Open: from 17.00pm to midnight. You can try bats. Huge selection of seafood dishes. A gourmet restaurant, the prices are moderate. Open: from 19.00pm to midnight. Location: in the heart of Victoria. 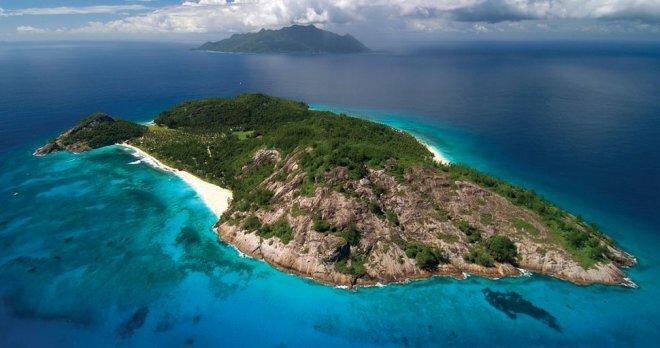 The Republic of Seychelles has population of 100 000 people. By nationality, 95% of the population are Creoles, there are also Africans- bantu, Chinese and Indians. The predominant religion on the islands is Christianity, 90% of the residents are Catholics. The languagesin use are three: French, English and Creole, the latter is official. Creoles have African, European and Asian roots, therefore it is hardly to referthem to a particular race. This was the reason that during the population census in 1911 the sociologists have stopped defining race. Provisionally all the inhabitants of the islands have the same nationality - Seychelles. There is a social ladder, the top of which are the "grandsblancs" ("noble white people») - the descendants of the French plantation owners. Slightly lower in status are the Indians (Indian Parsislead unofficially the Island trade) and the Chinese. The creoles and the poor white people («white Seychellois «) -are at the bottom of the social pyramid. All islanders compare their skin color: the lighter you are, the more prestigious you are. The Seychelles comprise of 115 islands and islets in the Indian Ocean, to the south of the Equator and a little north of the island of Madagascar. The inhabited and uninhabited territory of the Republic of Seychelles is 405 square kilometers. 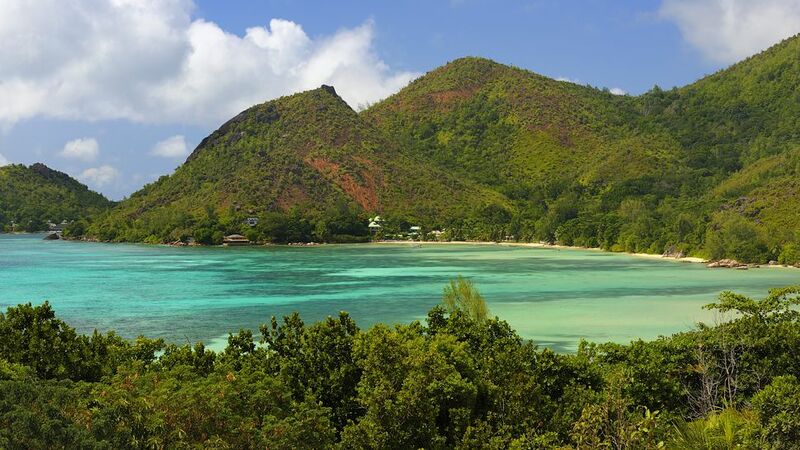 The largest islands - Mahe, Praslin, Silhouette, LaDigue - have a granite base, the smaller islands - a coral one. 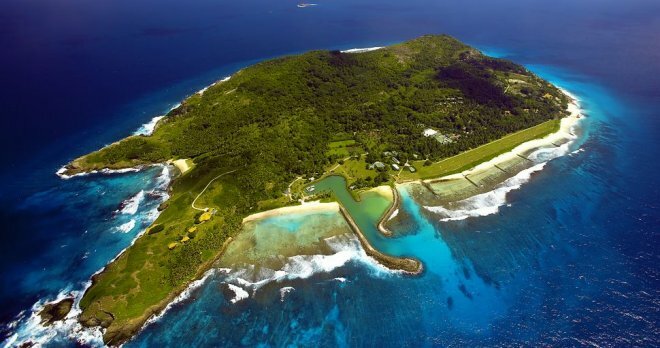 Mahe Island, where the capital Vistoria and the international airport are located, has a length of 27 km and a width of 8 km. 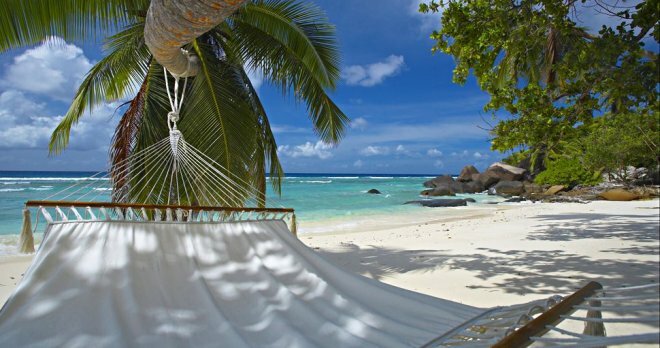 In the Seychelles they mark: New Year - January 1st, in March-April -the Good Friday and Holy Saturday, the Labour Day - May 1st, in May - the feast of Corpus Christi. The month of June for the Seychellois is full of public holidays, they celebrate: June 5th- the Liberation Day (commemorating the revolution and upheaval in 1977), June 18th -the National Day (adoption of the constitution in 1993), June 29th- Independence Day (liberation from Britain in 1976) . August 15th- Assumption of the Blessed Virgin Mary, November 1st- All Saints' Day. Christmas in the Seychelles is marked on December 25th, and not long before, on December 8th -the Seychellois celebrate the Feast of the Immaculate Conception.